Each Friday we write in our Friday Journal telling parents about our classroom happenings during the week. Parents are welcome to write back to their children each week. The kids just love this! I'm hoping parents do too! 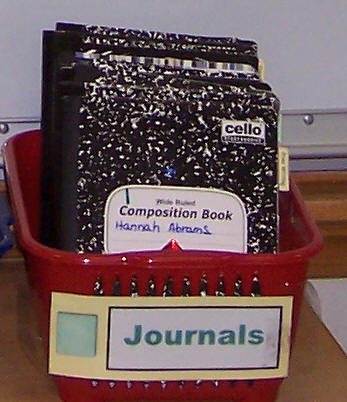 Parents are expected to sign the journal each week-end. I also try to write to the children every few weeks. Books, books, and more books! The children are expected to read every night. 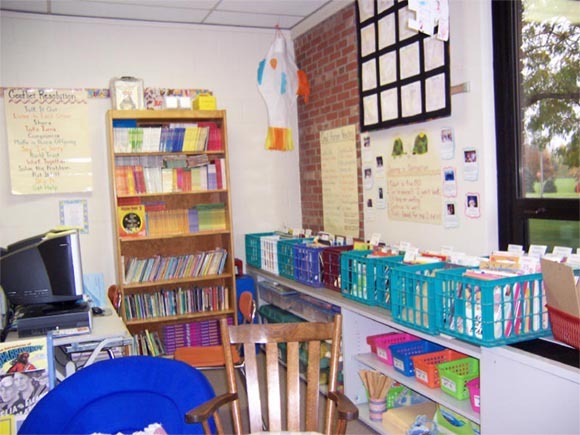 They may choose books from our classroom library, the school library, the public library, or their home collection of books. We read A LOT and keep track of what we read. The children have already filled the front and back of their Daily Reading Logs and are amazed at the visual representation of their accomplishments. We take every chance we get to talk this up! 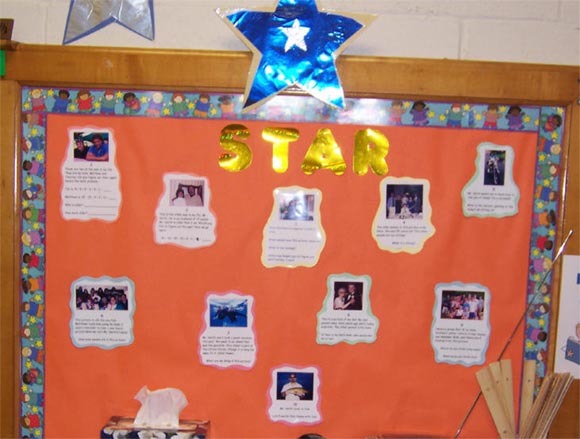 Our STAR bulletin board helps us to get to know each other. As a fun first week of school activity I display pictures that tell about me. Each has a caption with questions that the children have to answer. Throughout the school year each child will have the opportunity to be the STAR! They take home the STAR folder, choose pictures, and write a caption for each. They have a day to present and be the STAR!